The DLR series of phase shifting, dual induction loop, amplifier kits have been designed to suit areas up to 1000 square metres such as meeting rooms, churches and theatres. 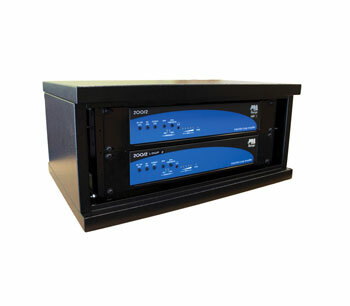 These pre-wired kits have two PDA Pro-Range amplifiers, supplied in a 4U enclosure and include an APPS Phase Shifter to simplify installation where a phased array system is required to give consistent coverage with low chance of dead spots, and minimal overspill. The DLR5, DLR7, and DLR9 systems include two Outreach input plates on the rear panel. One is an APXM balanced/unbalanced 3-pin XLR microphone input which includes on-board microphone to line-level converter and 8V phantom power. The second is an APL dual phono Outreach plate which runs at line level and includes an on-board stereo to mono converter. A single mains IEC connector is positioned on the rear panel to provide panel to the full enclosed system. 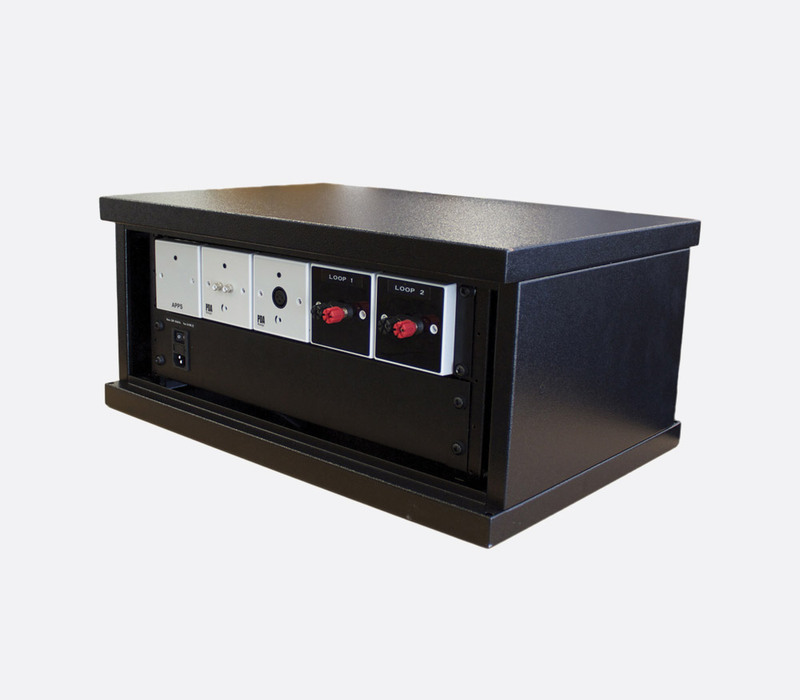 Rotary controls for the input channels are located on the front panel along with a level control to adjust the strength of the magnetic field generated and a metal compensation control to help combat any frequency response issues normally caused when excessive metal absorbs the magnetic field. A 3.5mm jack socket for headphones allows the user to monitor the audio output signal and a current meter, along with a two LED visual representation of the amplifier's compression, gives the user performance information at a glance. 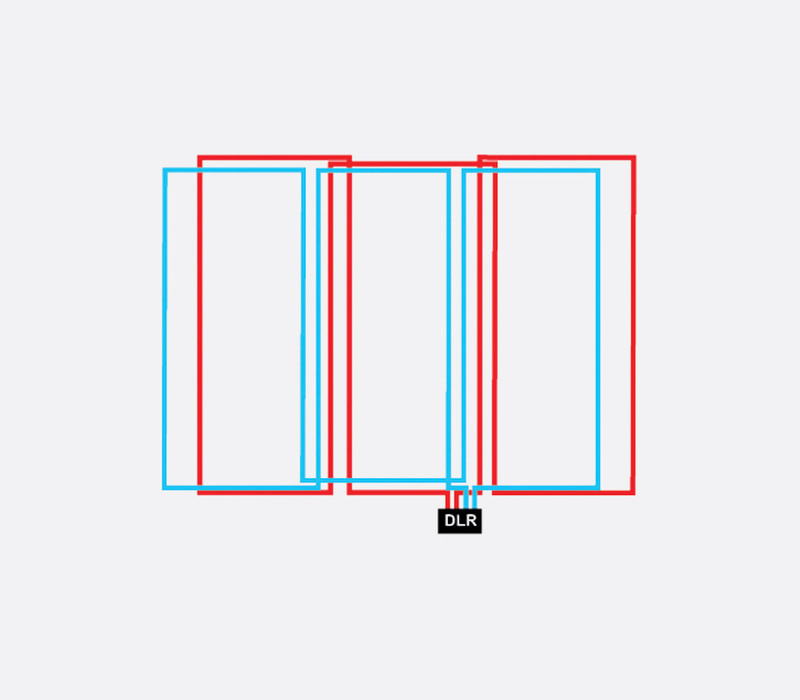 Inputs: 1x APXM XLR microphone input, 1x APL dual phono auxiliary input. Construction: Mild steel. IP Rating: IP20. Dimensions (w x h x d): 600 x 270 x 400mm.